and the responsibilities that come with it. Also called a bail bond agreement, a bail bond contract legally binds an indemnitor (co-signer) to certain legal requirements. These requirements are mandatory, and if neglected, will lead to additional legal repercussions. 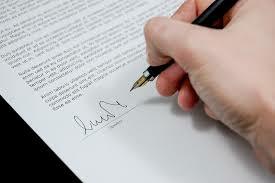 Signing a bail bond contract means that you are accepting the terms and conditions of the agreement, which includes contractually agreeing to ensure the defendant appears for all scheduled court hearings, as well as, paying the bail bond premium. The bail bond premium is the non-refundable percentage of the full bail amount that a company charges for their services. Another requirement includes providing personal information on the defendant’s behalf, such as their home address and place of employment, and updating the bail bondsman on any changes as soon as they occur. If a person signs a bail bond contract, and the defendant fails to appear (FTA) for court or skips town, they are responsible for tracking down the defendant and ensuring they go to court, as well as, paying fines and any related fees for tracking down the defendant. This includes the full bond amount, but also, compensation for the bail bondsman in terms of long-distance calls, travel expenses, administrative time, attorney fees, additional court costs, and more. These fines and fees can add up to tens of thousands of dollars. If you have co-signed for a bail bond, and you suspect that the person will not appear for court, contact your bail bondsman right away. Together you can make a plan so that you are not at risk of losing any collateral you put up, or any other consequences of violating the bail bond agreement. 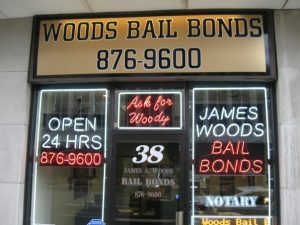 Call Woods Bail Bonds at 317-876-9600 to speak with an experienced Indianapolis bail bondsman for information about getting a loved one out of jail in Indiana. 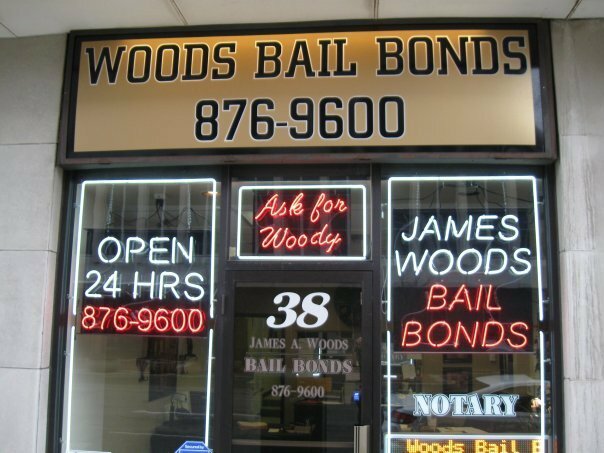 Owner, James Woods, offers bail bond services in most Indiana counties, 24 hours a day and 7 days a week. We also offer free jail pick up and drop off services to and from our office, free jail contact information, free estimates, and more. Call 317-876-9600 for 24 hour bail bonds in Indianapolis, IN today. This entry was posted in Bail Bonds and tagged 24 hour bail bonds, bail bond agreement, bail bond company indianapolis, Bail Bond contract, bail bondsman Indianapolis, Breaching bail contract, get out of jail Indianapolis, Indianapolis Bail Bondsman. Bookmark the permalink.